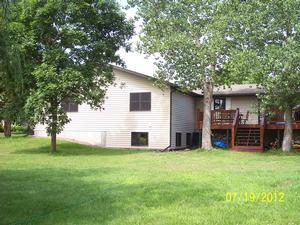 This two bedroom home in Rice Lake was in in need of a third bedroom, more storage area, and larger laundry room. We constructed a third bedroom to home with main floor laundry and extended garage for more storage. 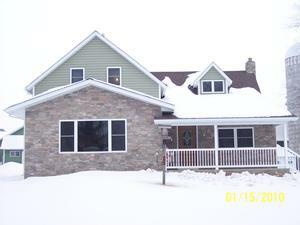 Addition was built with full basement for additional storage or future family room. We worked closely with the homeowners to preserve the original character of this 1940's cabin while expanding the square footage and including some modern updates. With this 1940's cabin on Prairie Lake we added a 33' X 20' second story to it included a master bedroom, full bathroom, and a spare bedroom. 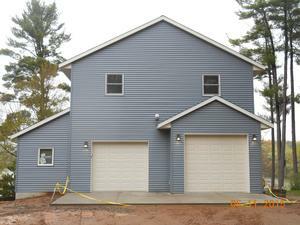 Major remodel in Cameron on Prairie Lake. 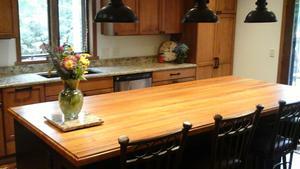 With this remodel we completely changed the interior layout and exterior look. 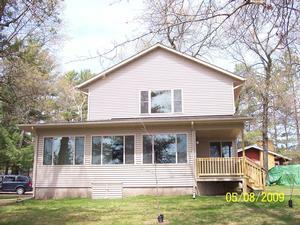 Exterior changes include removing the roof line and installing a 6/12 roof pitch, new siding, windows, and doors. 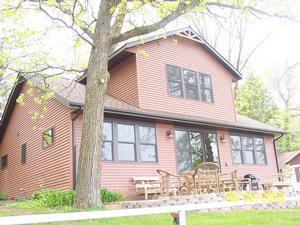 Interior changes include opening the kitchen and living room for better views of Prairie Lake. In 2015 we constructed a two story garage with shop area and second floor rec area. 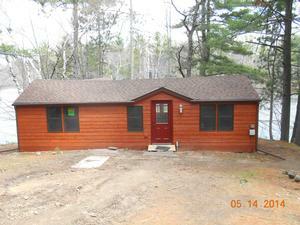 This 1940's cabin was completely remodeled on the exterior and interior. 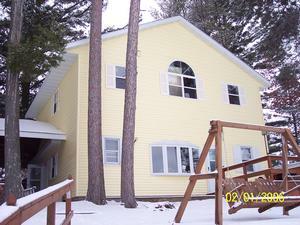 On the exterior new Marvin windows were installed with LP Smartsiding. This 100 year old farmhouse is north of Rice Lake, WI. In the first stage of this project we added a 26X24 finished garage and a 24X30 addition between the garage and existing house. The new addition consisted of a master bedroom suite with a tiled walk in shower, whirlpool tub, and his and her walk in closets. 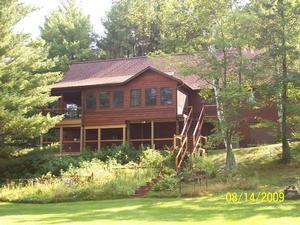 This early 1990's cabin is nestled among towering pines overlooking Pokegama Lake in Chetek. A large greatroom / loft was added to the front of the home to capture the full view of the lake with large windows, a stone fireplace, sunroom, and deck.